Cocaine Possession & Distribution Charges in SC | Strom Law Firm, L.L.C. 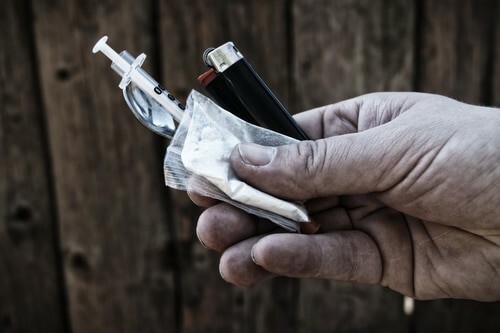 If you have been charged with cocaine possession, it is important that you seek assistance from a Drug Crimes Attorney. Possession of a small amount of cocaine can lead to jail time. The South Carolina Drug Crime Attorneys at the Strom Law Firm, L.L.C. understand your legal rights and know what it takes to represent you. First offense possession of less than one gram of cocaine is considered a misdemeanor. Penalty: you may be subject to a fine of no more than $5,000 (plus court costs and assessments) and/or imprisonment of no more than three years. Second and subsequent offenses for possession of less than one gram of cocaine are considered felonies. Penalty for second offense: you may be subject to a fine of no more than $7,500 (plus court courts and assessments) and/or imprisonment of no more than five years. Penalty for third and subsequent offenses: you may be subject to a fine of no more than $12,500 (plus court costs and assessments) and/or imprisonment of no more than ten years. Having in your possession one or more grams of cocaine and/or the attempt to distribute, dispense, purchase, deliver or manufacture one or more grams of cocaine is considered a felony. If you have been charged with Cocaine Distribution, it is important that you contact an experienced Drug Crimes Attorney. Penalty for first offense: you may be subject to a fine of no more than $25,000 (plus court costs and assessments) and/or imprisonment of up to 15 years. In South Carolina, if you have been convicted previously of one or more drug offenses, you may be considered a second time offender, even if the offense was not the same as the one you were previously convicted for. Penalty for second offense: (this includes previous conviction for any other charge of drug possession): you may be subject to a fine of no more than $50,000 (plus court costs and assessments) and/or imprisonment of 5 to 30 years. Penalty for third or subsequent offense (this includes previous convictions for any other charge of drug possession): you are subject to a fine of no more than $50,000 (plus court costs and assessments) and/or imprisonment of 10 to 30 years. We have the tools and knowledge available to aggressively defend your cocaine distribution or possession charge. With experience in both state courts and federal courts, we know what it takes to defend you. Call or contact us today to see how we can help you with your cocaine charges or any other drug charges that you may currently be facing (803) 252-4800.